Jean Mertzanakis, honorary secretary of the Anglican Chaplaincy in Athens, reports on the latter’s Annual General Meeting, held at St. Paul’s on Sunday 13th March. The Chaplaincy became involved in February 2015 when the Ecumenical Representative for Refugees in Athens asked for help at the Amygdaleza Detention Centre where four detainees had died in the coldest week of the year. Our response was to collect clothing, toiletries, blankets, sleeping bags and telephone cards and arrange their delivery. Since then, donations of over €95,000 have flooded in from Anglican congregations in Europe and Britain and from private donors, as well as proceeds from the Diocesan Lent and Advent appeals. Five delegations from Britain have been introduced to the reality of the crisis and more will come. Last November Father Malcolm addressed a fringe meeting of the General Synod of the Church of England. In August he will speak at “Greenbelt”, a gathering of young adults in England, and in November he will address a conference organized by the Archbishop of Canterbury. 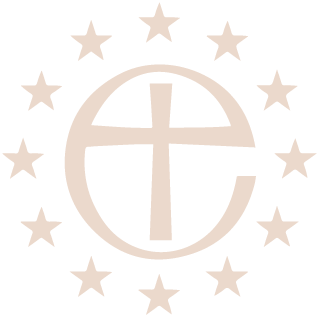 Here in Athens, we are a founding member of ‘Churches Together in Athens for Refugees’, a group of Churches providing mutual support as they respond to the crisis. We finance programmes such as ‘Lighthouse Relief’ (a sea rescue service on Lesvos); Medical Intervention on Samos; and an interpreter in Middle Eastern languages to assist the Salvation Army in its work in Victoria Square (Plateia Viktorías). Refugees/migrants congregate in the square to gather information and purchase tickets for the onward journey. In addition, we finance a food programme at the Amigdaleza and Petrou Ralli Detention Centres, where conditions are grim. Max McClellan, experienced in working with refugees and a specialist in Human Rights, joined us for three months. He visited areas most affected, coordinated our response and dealt with donations. His support, energy and wisdom were much appreciated. His replacement, Rebecca Boardman, will be with us for another three months. The massive task of administering funds is now undertaken by the United Society in the UK and recently the sale of a donated painting raised €650,000 to assist in this unprecedented crisis. Father Malcolm described the time and effort spent on drawing up a legal constitution to bring all the Anglican congregations in Greece into one body and define its relationship with the Greek State. Chaplains and Church Councils throughout Greece were involved via visits and consultations with himself and his wife, Olga, the approval of the Diocesan Registrar was obtained. After being signed by the Chaplains in Greece and the Diocesan Bishop, the Constitution will be lodged with the Greek Courts. We shall then receive a tax number for the whole of the Anglican Church in Greece, which will greatly facilitate our daily life and our fundraising events. Having a legal status means the Chaplaincy can assist in safeguarding the right of burial in the Protestant cemeteries in Athens and Thessalonica. Work will continue on the transference of church buildings to this new body – a complex process. Our genuine thanks are due to Father Malcolm’s wife, Olga, for the immense amount of time and work she has spent, and will continue to spend, on dealing with legal matters in Greek and English, smoothing the path towards legalization. This factor continues to dominate Chaplaincy life, affecting Greek families, as well as our own congregation. We respond to personal requests for rent, household and medical bills and legal fees. We also continue to support the Kokkori Residence for those with Down Syndrome and the Loïda Home for the Elderly. 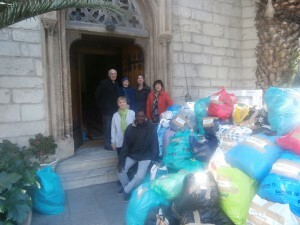 In addition, we work alongside Apostolí, the welfare arm of the Greek Orthodox Church. They report that assistance is sought for starving children in schools and funding for care institutions who have lost grants and donators because of the crisis. The Chaplaincy has donated funding towards Apostolí’s food parcel programme. English-speaking families and individuals continue to leave Greece and are nor replaced by newcomers. This affects numbers at church, particularly at St. Peter’s. Diocesan strategy now focuses on ‘reaching out’ into the wider community – our Community Connect programme personifies this. We are now on Facebook and have a revised web page. We also need to look at services for different age groups, provision for children, study groups, away days, improved networking (specially with the elderly) and drawing in those on the fringes of our Church community. Finances need constant monitoring as we see a decline in weekly giving and fundraising results. The overhaul and repair of the organ and provision of better toilet facilities are currently on the agenda. Father Malcolm said that gratitude was owed by all of us to one another for mutual support in fostering the wellbeing of this Chaplaincy as we try to discern and live out the mission given it by the Lord. He thanked all officers of the Chaplaincy and Readers Sherry Angelis and Christine Saccali. He was delighted to announce that Christine, currently completing a gruelling two-year training course, will be ordained as a Distinctive Deacon by Suffragan Bishop David Hamid here at St. Paul’s on 3rd July. He ended by thanking everyone at St. Paul’s and St. Peter’s for their support of himself and Olga and for working on behalf of the Chaplaincy. He said that our Lord did not promise a life of ease but challenged us to take up our crosses and work towards a new Creation of God’s making. Editor’s note: An account of the Anglican Chaplaincy’s support to humanitarian efforts in dealing with the refugee crisis in Greece can also be read on the Episcopal News Service by clicking here.